I’m about to tell you a sinister tale of cover-ups and deceptions. Now I know I’m not imparting anything new when I say kids love animals. We’ve all observed kids’ spontaneous empathy with #animals – of the real and story kind. So the question inevitably arises in my mind, how is it that kids who so love animals grow up quite happily eating them? I’m told (though I can’t vouch for this personally since mine were brought up veggie) that kids are often revolted by meat when it first appears on their plates, especially if they are told where it comes from. But of course, mostly they’re not. Not told, that is. We the grownups ‘protect’ them from the truth, as well as ‘brainwashing’ them – or if you prefer, conditioning them – without even knowing we’re doing it. The conditioning/socialising process involves getting kids to understand that animals belong in distinct groups determined by how we, the human animal, relate to them. (If you’d like to know exactly how this works, do please take a look at my first post on this subject). The ‘Food Animal’ group is almost at the bottom of the pile with only the ‘Vermin’ group beneath. Sad but true. This insidious conditioning is only one side of The Animal Conspiracy. There is a more pernicious, in fact positively malevolent force at work – the powerful force of big business. Profit is king. There are shareholders to keep happy and consumers to be kept in the dark so they’ll have no qualms eating their animal ‘products’ in vast quantities. In the UK 95% of pigs reared for meat are in factory farms. Do you reckon any child has ever guessed that almost all piggies don’t snuffle about in green pastures but spend their entire lives in huge hangar-like structures? Does “factory farm” ever even feature in a child’s vocabulary? My guess is that a child just wouldn’t be able to make sense of those two words placed next to each other. They know what a factory is, and they know what a farm is, but a “factory farm”? That doesn’t make sense. It goes without saying that kids will know nothing of the #AgGag legislation in the US. But AgGag is worth mentioning as a measure of how very desperate powerful agribusiness is to remain behind closed doors, closed to the public and firmly locked. So no-one questions where the ‘pork’ on their plate has come from, least of all a child. Those particular open doors are surely the exception that proves the rule. But you never know – this could be the way forward for agribusiness. Maybe more operations will go on the offensive and the cover-up which is the norm will give way to some very vigorous greenwashing. Now to the kind of farm visit we are more accustomed to. Here in the UK we have an annual event called Open Farm Sunday where working farms invite visitors for a tour. (I happen to know this because I am a fan of #TheArchers!) If I were so inclined, I could visit my local dairy farm which advertises its Event Highlights as ‘Meet the animals’ and ‘Tractor and trailer rides’. You can bet your bottom dollar that kids petting the adorable little calves will not be shown them being forcibly separated from their grieving mothers. Of course not. Cows ‘give’ milk, don’t they? Everyone knows that. Nor will visitors witness the profitless male calves being ‘disposed of’. Nor the milk cows themselves, those whose ‘yield’ has dropped, being loaded on to the truck heading for the slaughterhouse. 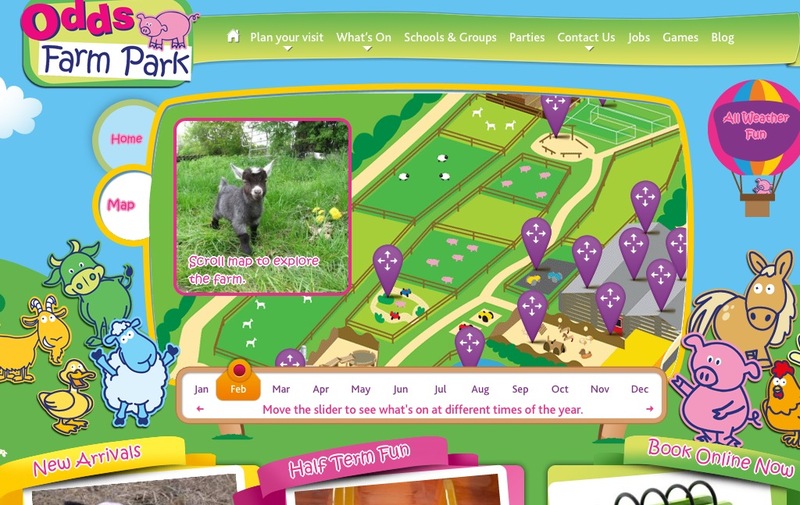 Kids will be shown the same cosy picture of the farm they recognise from their books, toys and movies. And the much less palatable truths will remain under wraps. Great care will be taken to ensure the kids never get a chance to make the connection between what really happens on a farm, and what appears on their own tables at home. Even more to kids’ taste in terms of farm visits are what are basically petting zoos for domesticated animals. They have colourful websites with the same cartoony graphics kids are familiar with. A wonderful day out for all the family is promised. And if the punters are not to feel cheated, spanking new piglets, lambs and chicks must always be on show. What happens to them when they are no longer cute and adorable babies and they need to be replaced by the next brood? Kids would never think to ask. And no-one is going to volunteer that information. And still more brazenly deceptive are TV ads for the big brands . Who of us hasn’t seen the #Muller ads – Mary the cow running free along the beach, her dream-come-true apparently, and her reward for being such a good cow. Or the one with the cows wearing party hats. I just cannot tell you how angry these ads make me. It’s adding insult to injury for these animals, and it couldn’t be farther from the truth. Words fail when it comes to #McDonald’s ads. Deception with a capital McD. All aimed at keeping intact kids’ story-book illusions about the lives of farmed animals. The sun always shines as hens, pigs and cows gambol happily in lush green pastures to ‘give’ us our milk and meat. What could be more wholesome! The same pernicious magic is worked with the fast food promotions aimed at kids. More often than not the giveaways in the ‘happy meal’ box are toy animals of some kind. But it’s hardly going to help big corporations’ sales if a child starts to puzzle over the toy hen they find in their box sitting right alongside the piece of chicken they’re just about to eat. Don’t worry – the marketing men are much smarter than that. There must be no danger of the kids making that connection. From the marketers’ point of view, the preferred choice of toy would be a companion animal (a pet) or a wild animal, because those two kinds most obviously do not fall into the ‘Food Animal’ group. This avoids any possible association of the piece of dead animal in the box with the animal that is represented by the toy. And to maximise profits, the promotions need to feed off children’s popular culture such as #Disney films. Toy characters from Disney’s #TheLionKing for example, are no problem at all in the happy meal box – we protect lions, not eat them. The disconnect is safe. This becomes more problematical when you want to promote your happy meals with tie-ins from #Babe. Babe is a pig and we all know that pigs are unlucky enough to find themselves in the ‘Food Animal’ category. How to maintain that disconnect? The mega-corps have their best brains on the case . In other words, the soft toy pig giveaway bears almost no meaningful resemblance either to a real pig, or to Babe in the movie. So no matter that it’s in the same box alongside a piece of pork, the disconnect is safe. For the meat moguls, making sure the cultural status quo around their animal ‘products’ develops no cracks is of paramount importance. How many of us, least of all children, have been able to lift the lid on the cover-up or see through the deception routinely perpetrated on us? All so that big money can continue being wrung from the hidden suffering of farmed animals. And so kids who love animals go on being kept in the dark, duped about their real lives, and manipulated into eating them. In Part 3, I’m going to explore how The Animal Conspiracy can be blown apart for good – I so hope! Thank you for this so well written and interesting essay. I look forward to part 3! Thank you for another excellent article on this subject. I am astonished to say the least concerning Fair Oakes pig and dairy Adventure tours!!! Whatever next. It seems that for the majority of people childhood brain washing continues into adulthood. Sadly people are easily led and do not analyse or question as much as they should. At Easter in the Yorkshire dales you often find “feed the lambs” farm open days when children and adults too can bottle feed lambs. Many visitors to such farms likely return home to lamb for Sunday roast. They just don’t make the connection. Frankly I am tempted to say that in fact most people are stupid in this regard. Things are changing I would like to hope. Sadly though as with anything these days profit is all that matters and agriculture is no different. I too hope the conspiracy will be one day blown apart. Looking forward to part three. The ‘need’ or desire for profit is the major obstacle to animal rights, isn’t it? I agree wholeheartedly, profit is the main obstacle in bringing about rights for animal and also humans. The relentless pursuit of profit is responsible for the exploitation and widespread abuse of non-human animals as it is for the exploitation of human beings and the destruction of our environment. Capitalism is a scourge which, until removed or at least tightly controlled, will increasingly threaten the well being and continued existence of us all. Yes, the animal rights issue cannot be separated from human rights, inequality, the environment and so much more. They all suffer under the scourge of global capitalism. If only it were love that makes the world go round and not money!